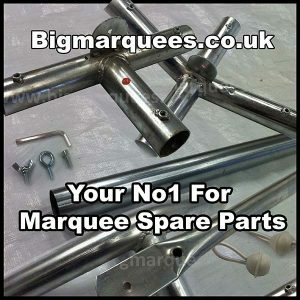 Essential For Holding Marquee Down. 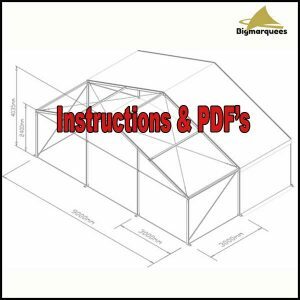 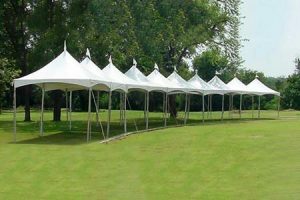 Marquee tie down kits hold your marquee to the ground, these essential items ensure that your investment does not take flight and subsequently end up in a tree or a power line. 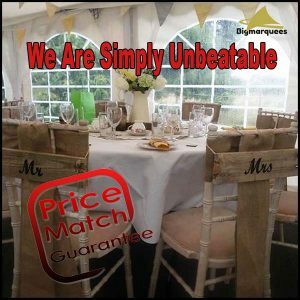 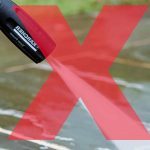 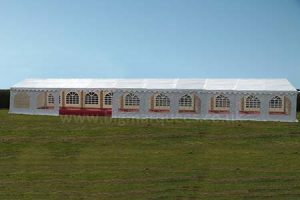 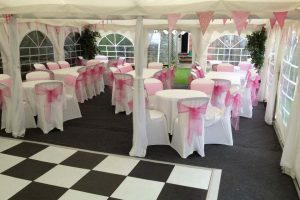 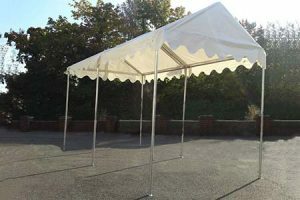 It is advisable to always attach these to your marquee, even if you think that the weather is fine because at midnight when the weather picks up, the very last you want to be doing is trying to find something to hold your marquee in place. 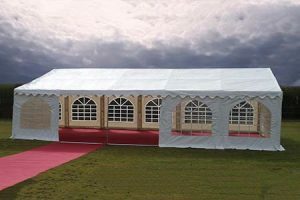 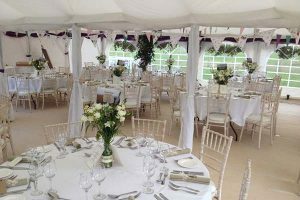 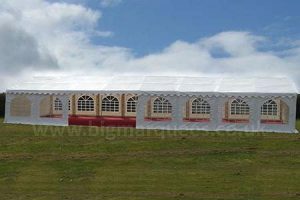 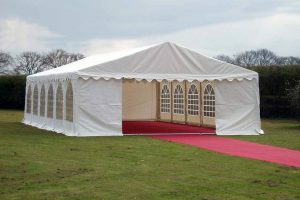 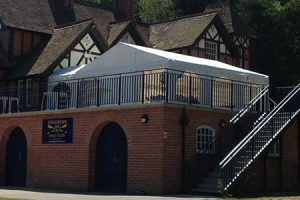 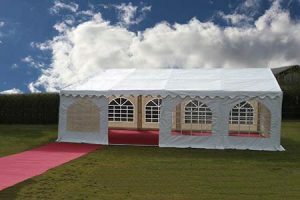 It is recommended that tie down kits are used to secure marquees in all conditions ensuring stability. 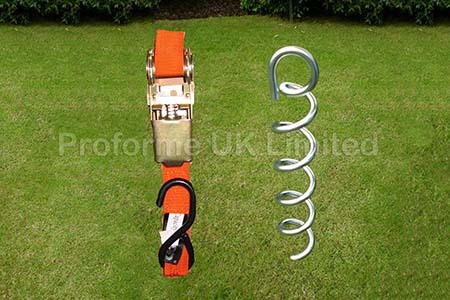 The spiral anchor is specifically designed for use with marquees and is used by the military. 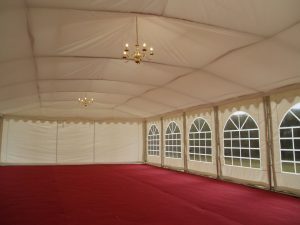 These will secure your marquee without the need for hazardous guide ropes on the out side, which in the dark provide a significant tripping hazard. 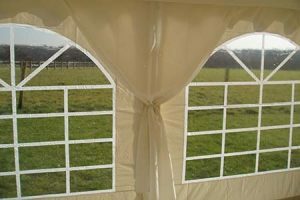 Ratchets should be just tight (do not over tighten) and checked weekly and re tightened. 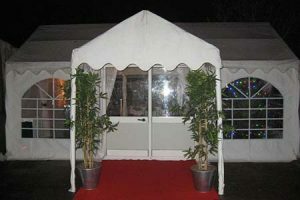 Spikes are used on the outsides of the marquee and are fixed around 1.5 to 2m away from the side of the marquee. 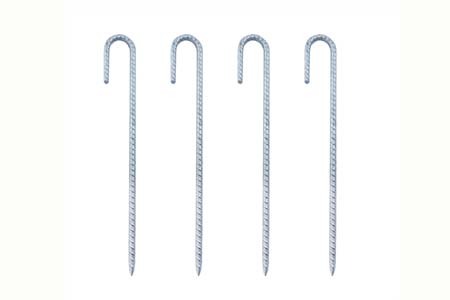 The spikes are 12mm dia and 45mm long with a hook at one end. 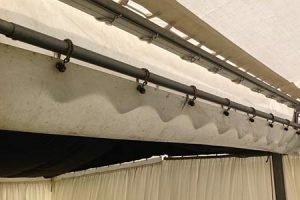 The Ratchets then attach at 45 degrees up under the roof cover and on to the eaves pole joint next to the top of the leg.